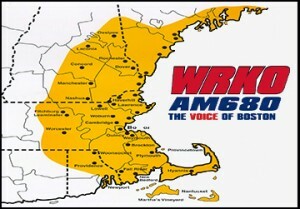 WRKO AM 680 – Home of the Pat Whitey’s Wicked Bites Radio Show from10am to Noon, Boston’s Talk Station, with 50,000 watts of power into 6 New England states. Wicked Bites – New England’s newest and most unique TV Show. A fan’s fabulous tie-in with New England sports players and the stories of their favorite restaurants and dishes. Each week the Wicked Bites crew unlocks the secrets to great eats – from hidden places to the most unique shops. 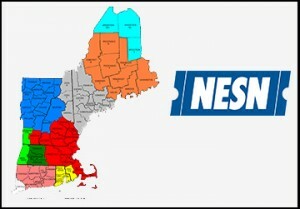 NESN – Home of iconic Bruins and Red Sox TV franchises, reaching 4.8 million homes across New England, creating the credibility and excitement of Boston’s Best Teams – Boston’s Best Fans. How it all began – In 1976, on a hot day – right before the Fourth of July, a young radio personality was live on the air trying to talk politics. Trying everything he knew to get calls, he was faced with the worst possible scenario – NO CALLS. In an attempt to rescue himself from three hours of open lines, he made a bold statement, “Let’s talk about restaurants!” This was the beginning (quite by accident) of one of the most successful broadcasting concepts on American Radio. The first caller spoke of a restaurant nearing bankruptcy! This restaurant served Fried Ice Cream and Szechuan food (both items new to the Boston area). As a result of that one call, the restaurant began to get (as they say in the restaurant industry) a run. This restaurant, in the early 1980’s, became one of the largest Chinese restaurant chains in New England. It was credited to the Pat Whitley Restaurant Show that pulled them away from bankruptcy. Incidentally, Weylu’s was the first restaurant recommended. For Advertising Information use the form below or call 866-745-1167. What is t best time to reach you?